London with its long and rich history has so much to offer. There are world class museums (like the Tate, British Museum, Natural History Museum, V&A and many others) as well as historical monuments (the likes of the Tower of London, Westminster Abbey or St. Paul’s Cathedral being only a few examples). Then, there is all the buzz of one of the most energetic and attractive cities on earth. Think of Soho, Camden, Piccadilly, Shoreditch, Greenwich and many other tourists’ hotspots. But there is also another, less known and quieter, side of London. 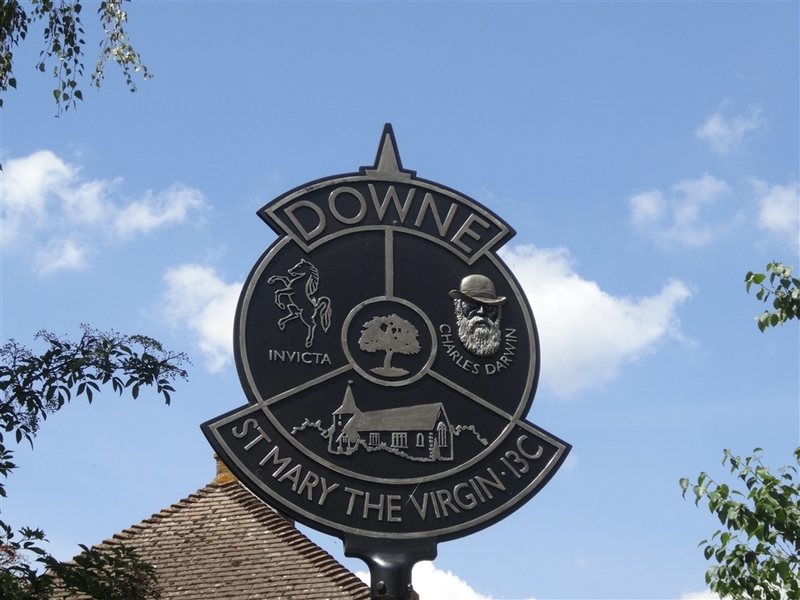 Located just 14 miles south east of Charring Cross, the village of Downe is as different from central London as you can only imagine. But however rural it might feel, being part of the London borough of Bromley (even if only just), it is technically still part of Greater London. 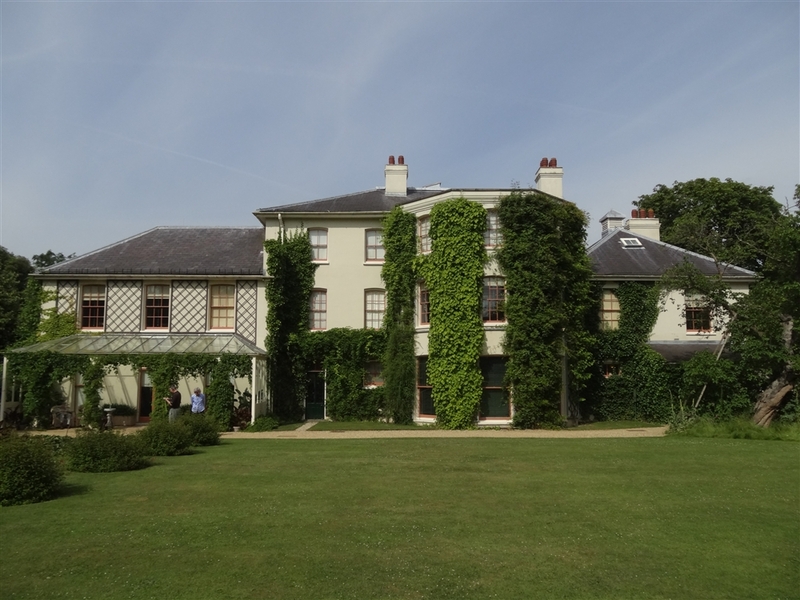 Its biggest attraction is of course Down House, home of Charles Darwin. I was thinking about visiting the place for quite a while and finally, on a glorious July day, we decided to go. We chose to take the train to Hayes, where the line from Charring Cross ends, and then walk to the village. Hayes is one of the many distant and anonymous suburbs of London, and it could be anywhere in the UK. Sure, it is nice, but also an absolutely uninspiring place (sorry to the good people of Hayes). From Hayes station it is about 4,5 miles to Down House (yes Down house is spelled differently to the village). Initially our route took us along typical suburban streets but soon we entered the area of woodlands and heath called Hayes Common which, covering over 90 hectares, is one of the largest commons in London. There is even a two hectare area of shrub heath which forms a Site of Special Scientific Interest. It is all a very pleasant place for walkers. Next on our route was the village of Keston. This area has been inhabited for thousands of years and in the valley below the village there are ruins of a complex of 3rd century AD Roman tombs and a mausoleum. It might not be very impressive but how often do you see Roman remains? From Keston we followed the London Loop trail for a while before taking local paths leading towards Downe village itself. By now the landscape had become completely rural with no hints of being close to any city, and especially not to London. 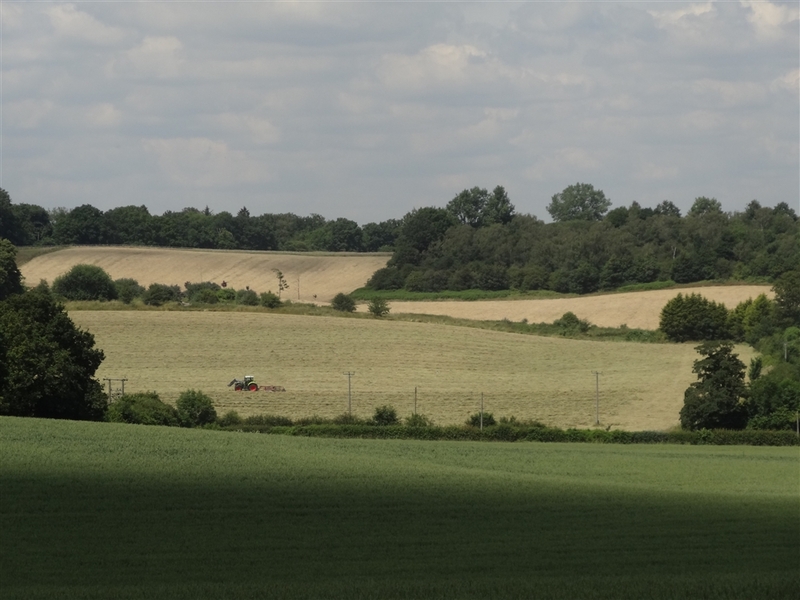 There were rolling fields stretching to the horizon with tractors chugging along and cows grazing. The paths were at times quite overgrown and little used which only added to the rural feel. I found it a really interesting experience to actually walk out of London, to pass from the endless suburbs to the fields and countryside. Living in London one can think that this city never ends. After nearly a decade here I sometimes have that feeling myself. After navigating a few more stretches of footpaths and local country lanes (with the big help of a proper OS map) we finally reached our destination, Down House. Charles Darwin lived in the house for 40 years, from 1842 until his death here in 1882. 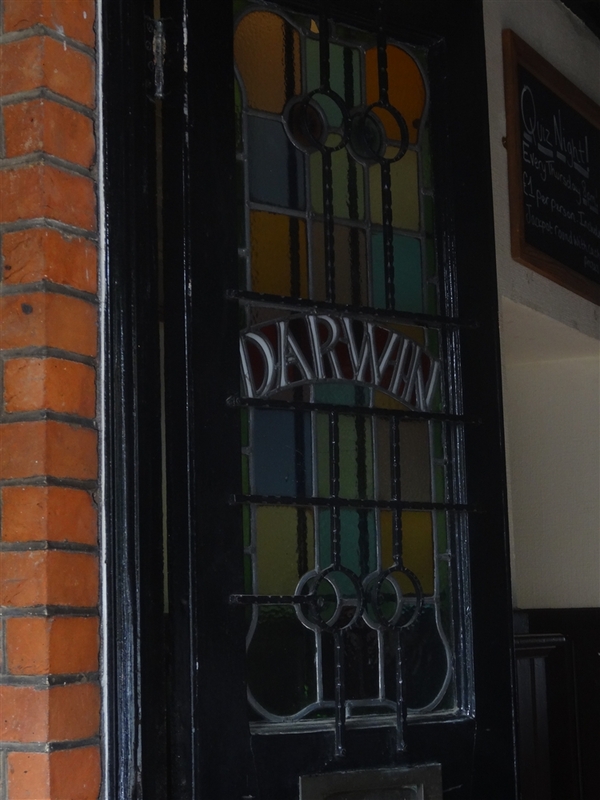 It was here that Darwin did a lot of his research and writing, including his, now well known but then revolutionary, theory of natural selection and evolution. Nowadays the place is run by English Heritage and is well worth a visit, especially for anyone interested in the history of science. There are numerous exhibitions showcasing Darwin’s life and research, including the famous journey on board HMS Beagle. There is even a replica of his cabin on Beagle as well as displays of his journals and notes. 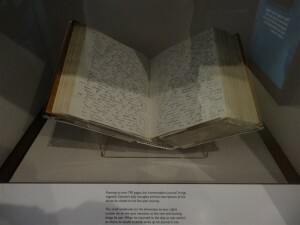 One of the journals, running to over 750 handwritten pages, brings together his daily thoughts and the descriptions of the places he visited on his five-year journey. Utterly fascinating. 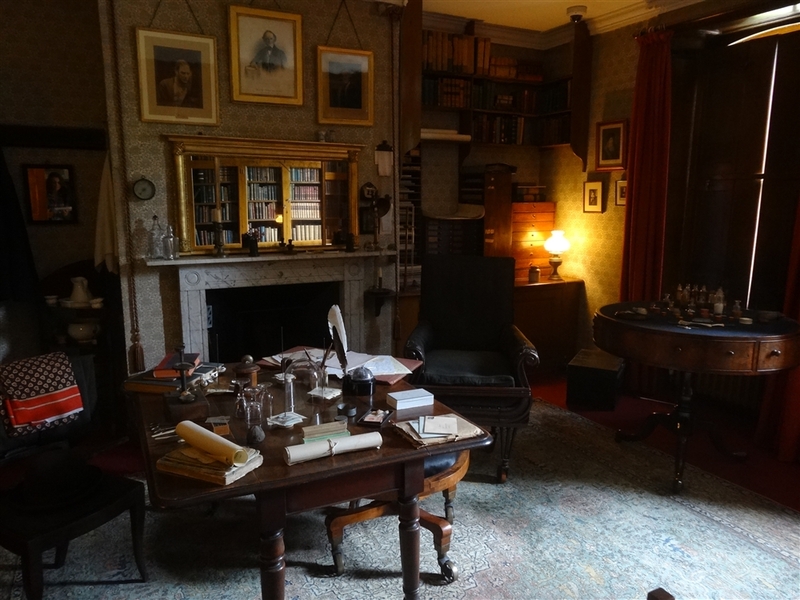 But the best aspects of the house are the historic rooms preserved pretty much as they were during Darwin’s life. Especially fascinating is his old study. This is the place where history of science was made. 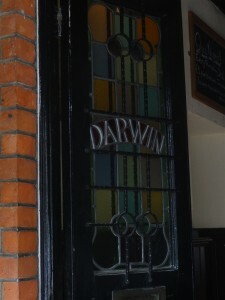 The room as it is seen today remains unaltered from Darwin’s time. It was restored to the original 1870s arrangement and decoration in 1929, based on a detailed photograph taken in the 1870s together with information from Darwin’s son Leonard (1850–1943). Being a science geek myself I found it really exciting to be able to walk around the place where so much ground-breaking scientific research was done. At the end of the day Darwin changed the history of science forever. The house is surrounded by lovely but also historically significant gardens. A lot of Darwin’s research was based on experiments and observations he made in his gardens and greenhouses. You could say that the gardens were like Darwin’s outdoor study. Today they are preserved as they were in his lifetime and stocked with the same plant specimens that Darwin cultivated for his botanical research projects. In total we spent a few fascinating hours in Down House and enjoyed every minute there. It is definitely one of the most interesting sites I have visited in Greater London in recent years. From Darwin House we walked back to the village and planted ourselves outside the Queens Head pub. Located right in the heart of the village this lovely establishment offered an uninterrupted view of the village life. We sat down outside and watched traffic passing while sipping Weston’s cider (Weston is located just a few miles away). It all felt like we were far, far away from London. 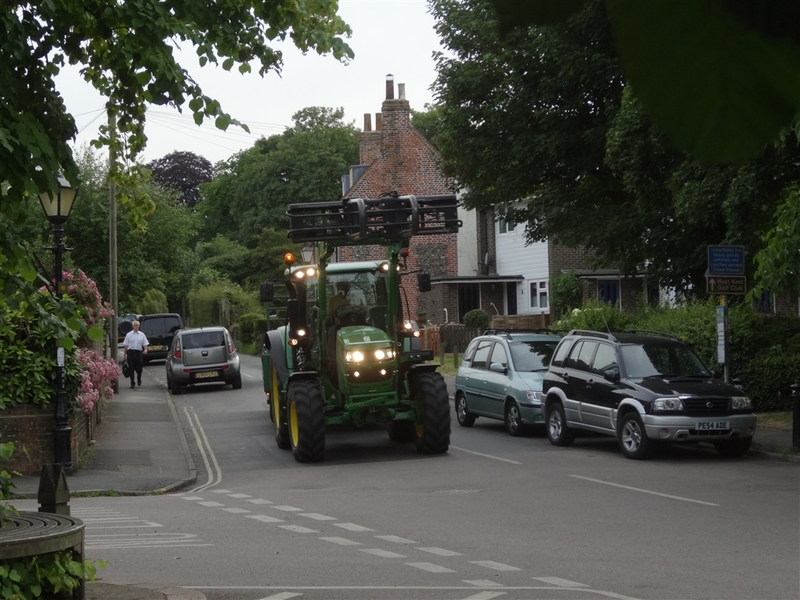 There were tractors carrying bales of hay, bunged up pick-up trucks with dogs at the back, kids riding quads as well as an old Land Rover driven by a hippy looking guy. On the other hand we also spotted SUVs of the London commuters and even a London bus. Conveniently bus 146 connects Downe village with Bromley via Hayes so if you don’t want to walk all the way you can just jump on it. In fact that was what we did on our way back. All those ciders definitely discouraged us from walking back. As I already mentioned, being a bit of a geek, I was absolutely fascinated by Down House. But even if you are not a science maniac you should still enjoy your visit to Downe. This lovely village has it all. It feels remote but at the same time it easy to reach by public transport. It feels rural but has a world class historic attraction. In short, it is perfect example of London’s idiosyncrasies. This entry was posted in Uncategorized by Geogregor. Bookmark the permalink.